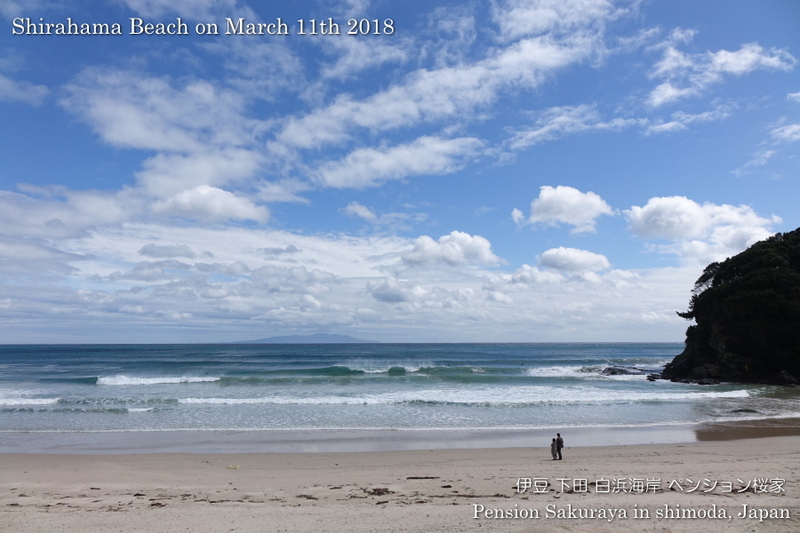 I walked a little this afternoon today. 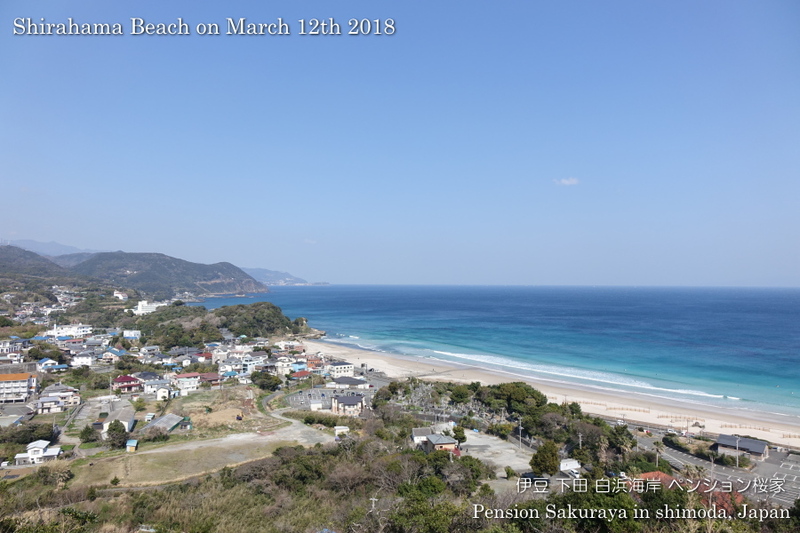 It was sunny and very warm here in Shirahama today. 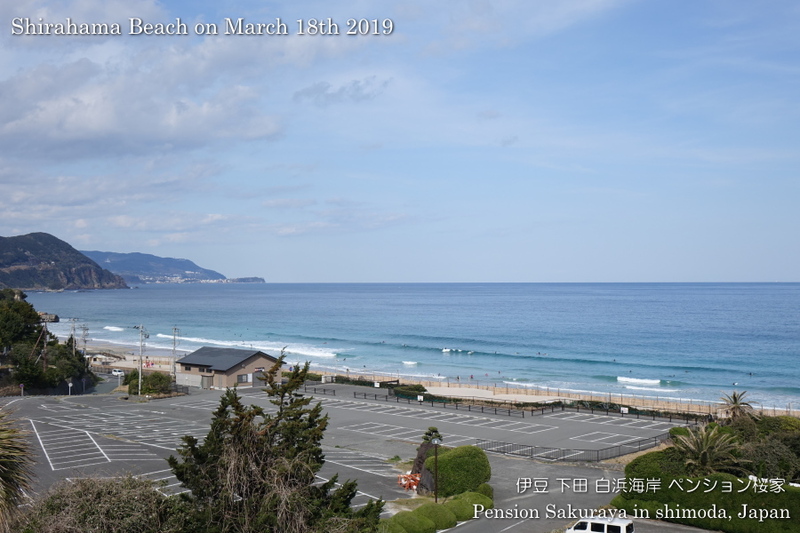 They had smaller waves than yesterday, but it was not bad condition to surf. 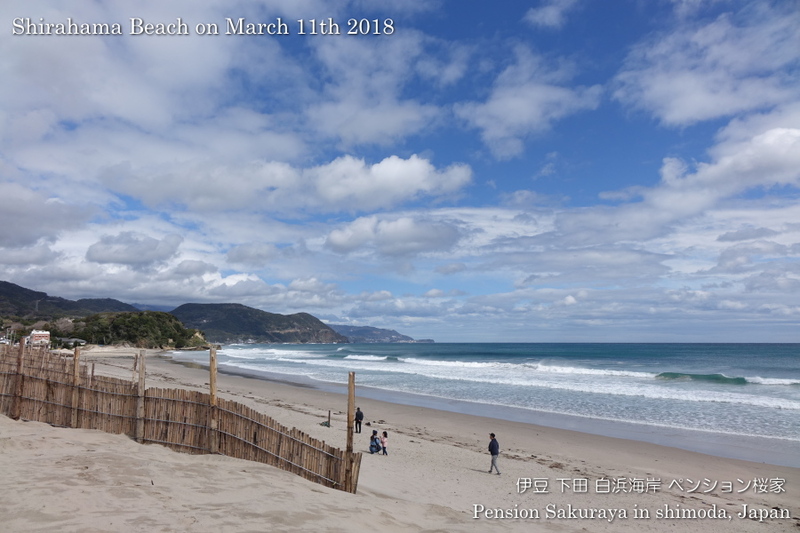 I posted 11 photos of today’s beach on our Facebook. 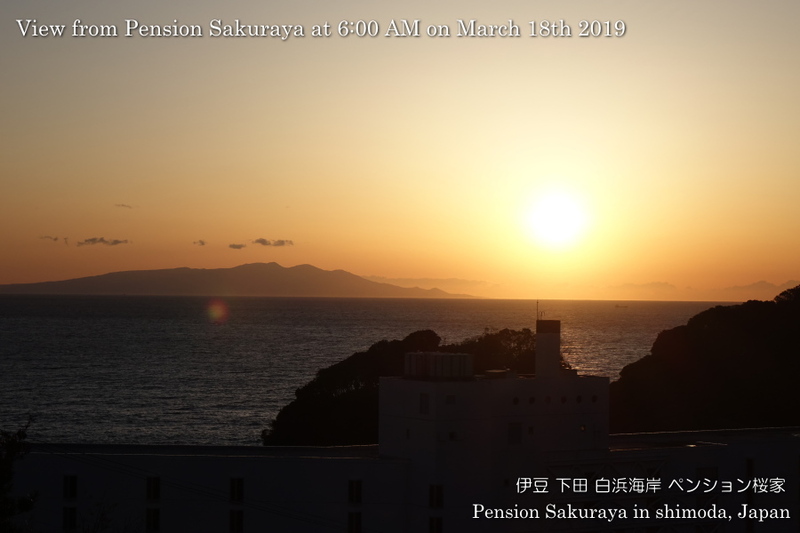 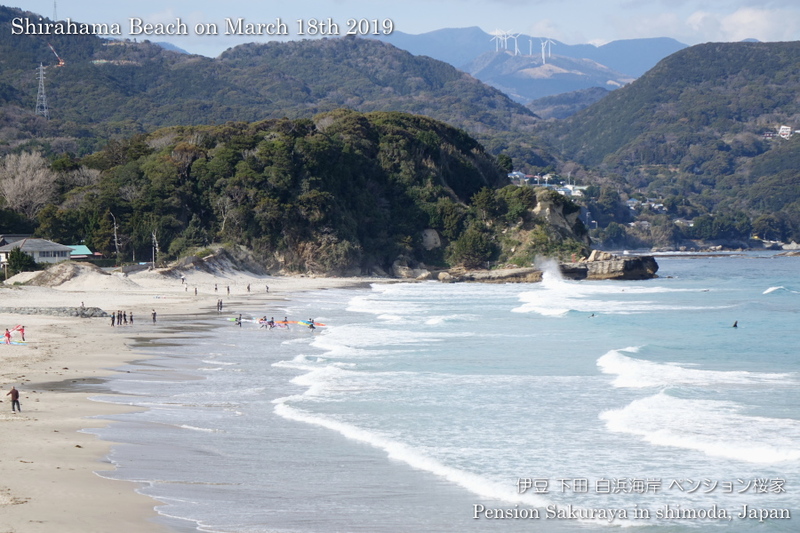 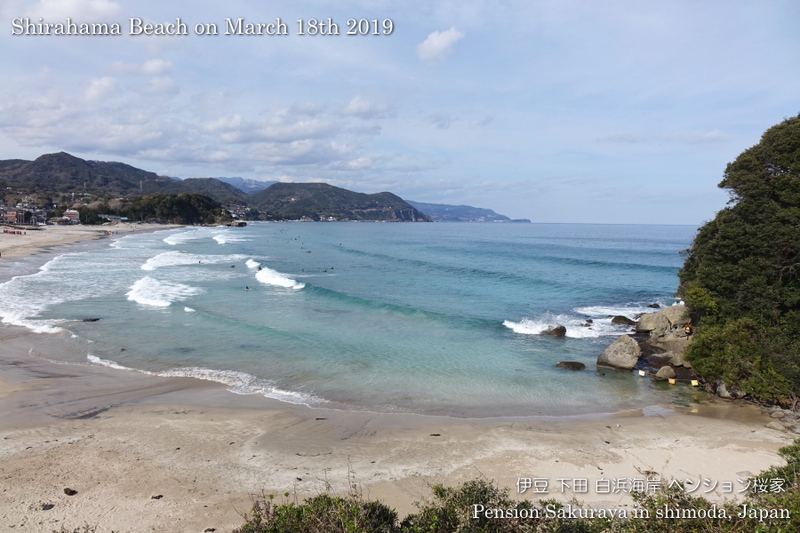 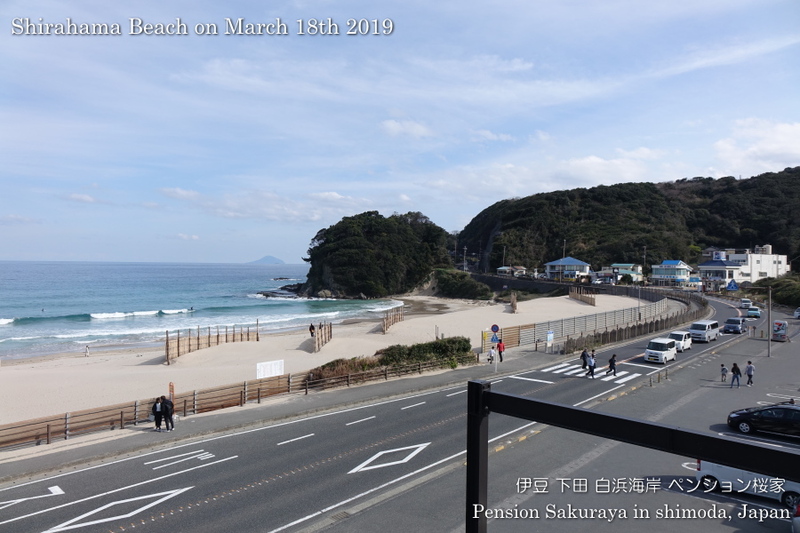 This entry was posted in beach, surfing on 2019年3月12日 by izusakuraya. 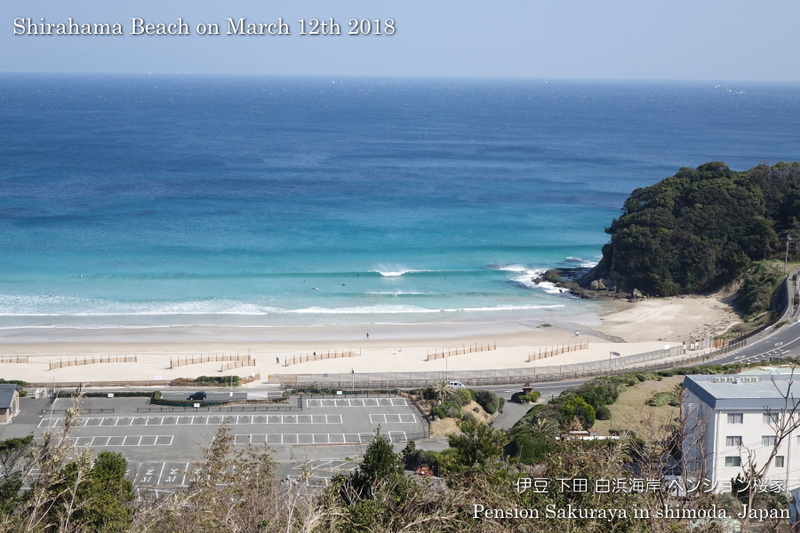 I went to the beach to take photos before going to Shimoda for shopping this morning. 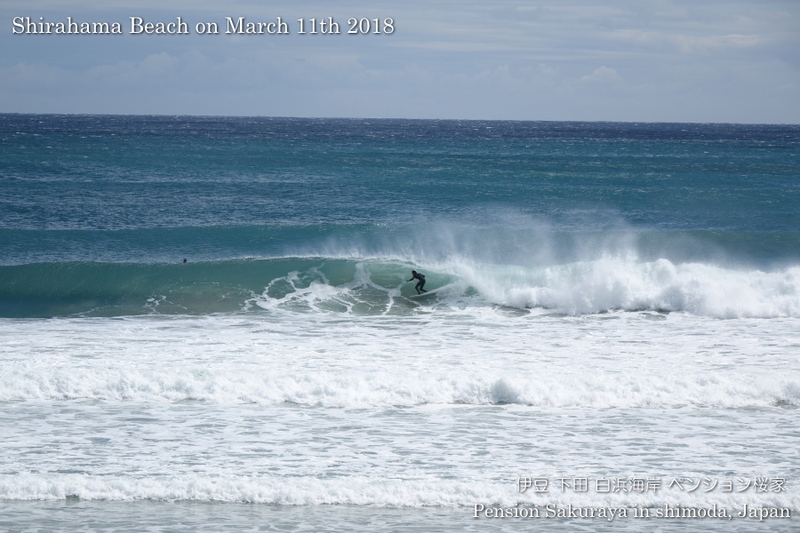 We had very strong wind and heavy rain here in Shirahama last night. 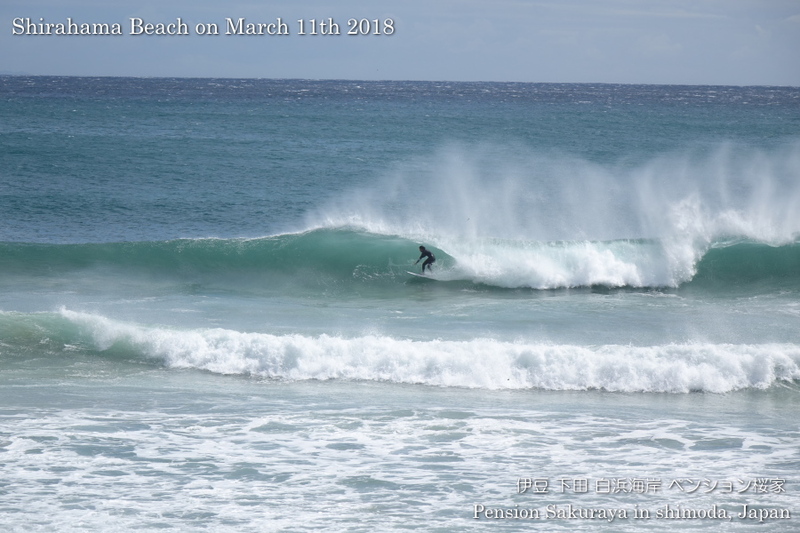 It was almost typhoon!! 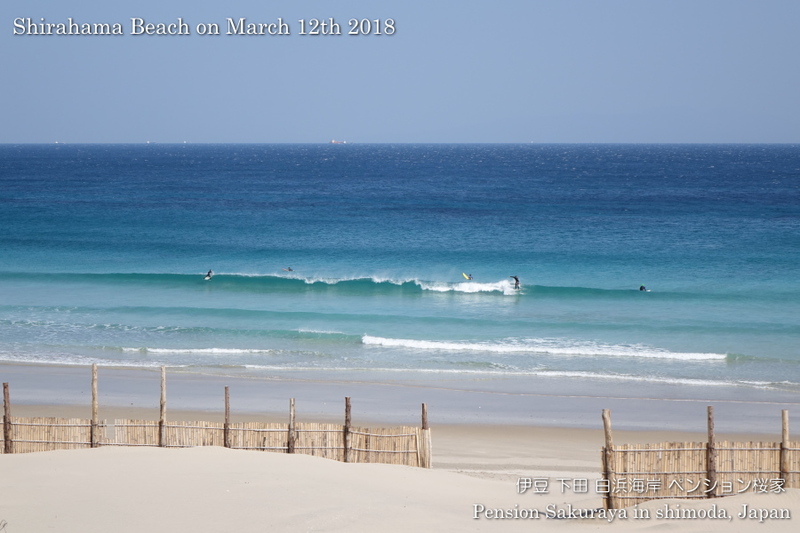 After the low pressure system passed they had good waves and off shore wind. 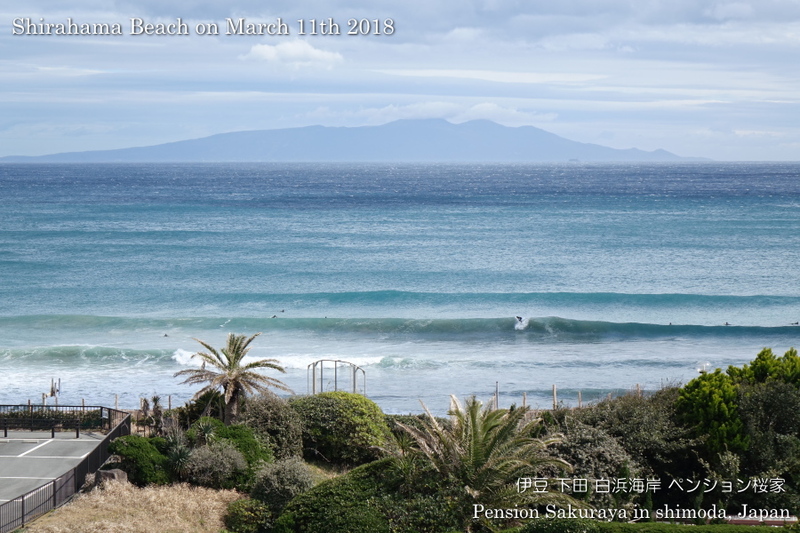 We don’t have such a good condition to surf so many times a year. 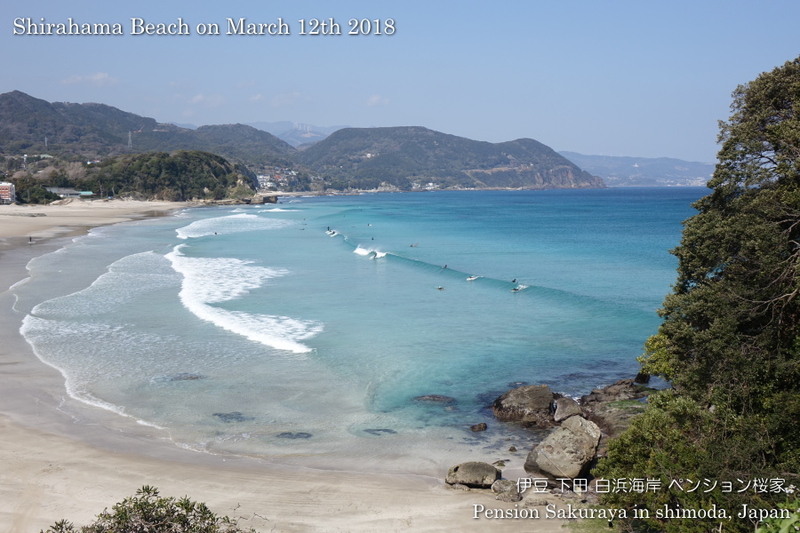 This entry was posted in beach, surfing on 2019年3月11日 by izusakuraya.